Urmi is one of the many women, who have benefited from vocational trainings and skill building opportunities under the ‘Empowering Women for Peace and Development’ project. 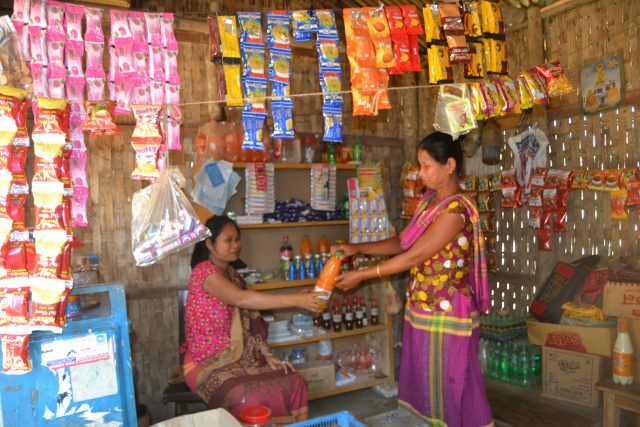 Urmi Chakma runs a grocery shop in a small village in the southeastern district of Khagrachari, Bangladesh. With hard work and the support, she received from the EU and Welthungerhilfe supported ‘Empowering Women for Peace and Development (EWPD)’ project, the 40-year-old has been able to transform her life and that of her family’s as well. 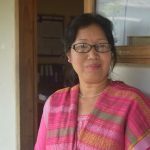 Originally from the Rangamati district of the Chittagong Hill Tracts, Urmi’s family was displaced during the construction of a hydroelectric dam in 1960. Her grandfather and father moved to Khagrachari, 70 km from their native town, leaving behind their home and farmland. 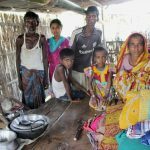 Urmi now lives in South Khabongporia village in Khagrachari with her husband and two sons. The eldest son studies at a polytechnic institute in Dhaka, while the younger one is in the tenth standard and goes to a government school. Urmi’s husband is not employed. The couple owns a small plot of agricultural land, which is not enough to sustain them. In March 2014, Urmi found out about a peace group in her village. She became a member of this community-based group, set up under the EPWD project with an aim to take action in terms of mitigating conflict at the local level. 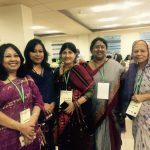 As a member of the group, Urmi participated in various trainings (including conflict management) and attended various community dialogue sessions on issues ranging from gender, women’s empowerment, women and human rights to peace and reconciliation. The experience that directly impacted her life was the training on women’s livelihoods, she recalls. “That training helped me understand how to use homestead land efficiently and taught me about entrepreneurship,” she said. Soon after, Urmi took a microcredit loan. Using the knowledge she gained during the training and supported by the small loan, she opened a grocery shop near her house. The business began to pick up slowly. In 2016, she expanded her shop by increasing more product offerings. 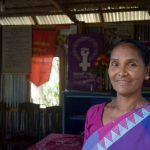 Happy with the progress in her life, Urmi now encourages other women of her village to develop their entrepreneurial qualities and become self-reliant. 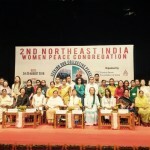 The Empowering Women for Peace and Development in South Asia has contributed towards promoting civil society and strengthening women-led peace building initiative in the Chittagong Hill Tracts of Bangladesh, the North East India and Myanmar. Under the programme, women conflict survivors have been trained in various skills such as weaving and stitching in a bid to enable greater economic independence. 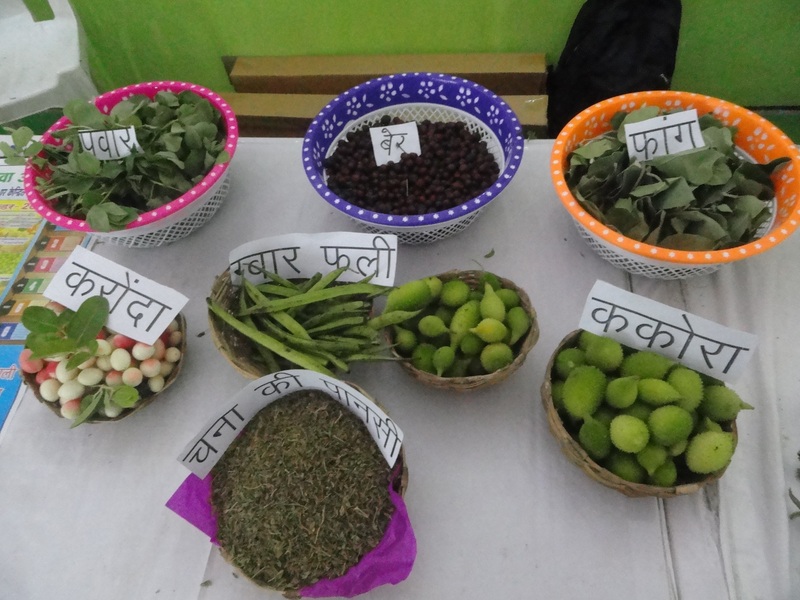 Welthungerhilfe has implemented the EU-supported initiative in partnership with Control Arms Foundation India (CAFI) and Anando, Bangladesh.